Regular readers will know that I am more than slightly obsessed with Lip Balms, always have been. When I saw one of my local beauty shops selling the EOS Lip Balms for just £2.99 I went in and bought a few of the flavours that he had. 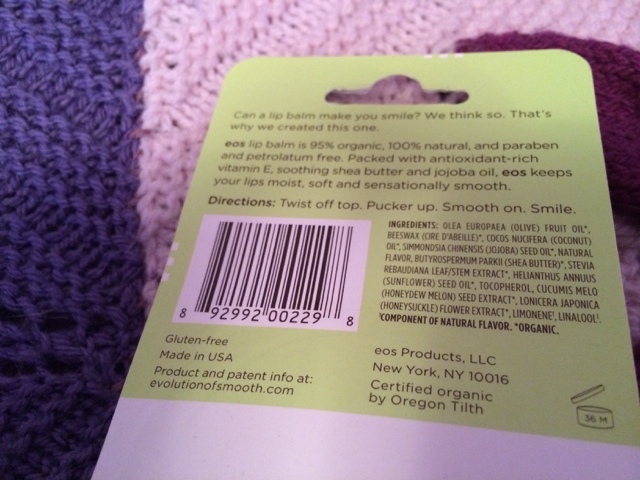 EOS is an American brand, known as Evolution Of Smooth who specialise in lotions, creams and balms and isn't as readily available in the UK as I hoped they would be, though you can find many places online to purchase them. Currently available in ten different flavours, I opted for Pomegrante Raspberry (which I gave to a friend) and Honeysuckle Honeydew which I kept for myself. The first thing that attracted me to these lip balms is their quirky shape, rather than coming in tube form they are instead a funky spherical shape which makes them stand out and when in your handbag, it makes them much easier to find, especially if like me you always have more than one lipstick and lipbalms with you. Funky shape aside, these lip balms are 95% organic and 100% natural. The ingredients within this EOS lip balm include Shea Butter, Vitamin E and Jojoba oil to moisturise and soften lips. They are also paraben and petroleum free which I am quite pleased about, one thing I dislike about Vaseline, other than the fact it feels like you have rubbed a block of lard across your lips, is the way it leaves my lips feeling, hydrated and tacky. This lip balm applies to the lips clear, there is no colour left on the lips and it most definitely does do a great job at softening and moisturising. The scent also becomes noticeable as soon as the lid is removed and it is one of those authentic fragrances, not too overpowering but most definitely something I really like, almost good enough to eat. The main fragrance for me in Melon and Honeysuckle, both of which you can see listed within the ingredients. These lip balms retail online for around £5.99 which I think makes them grea value for money and they are definitely something I would recommend trying, I will more than definitely be trying some of the other flavours just as soon as this one runs out, which having used it constantly for the last 6 weeks, it shows no sign of doing just yet. 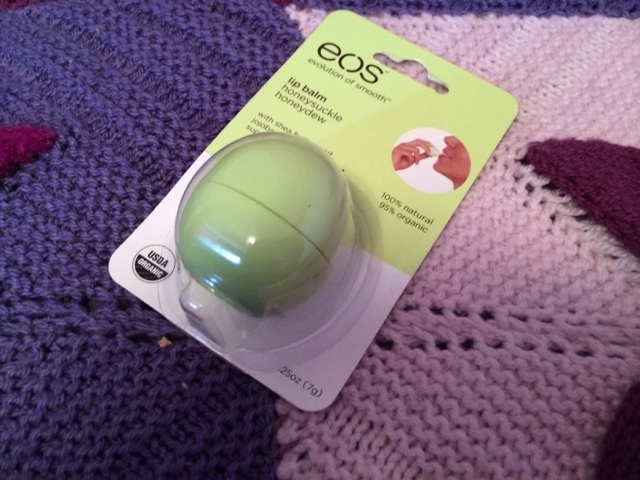 Have you tried either the EOS lip balms? Do you have a favourite one? I swap internationally quite a bit so I think I have tried nearly every flavour! Aren't they great? 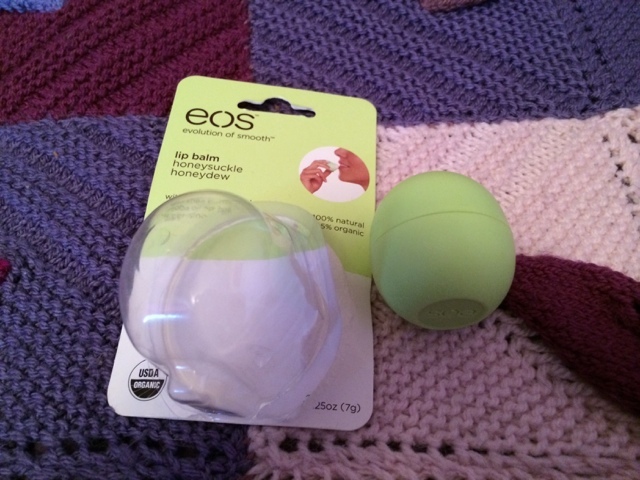 I love them and last night I tried the EOS shaving creme which is equally as amazing! I've never tried any of these before, but I've seen a lot of positive reviews like yours about them. Can't believe you only paid £2.99 for it!! Would definitely grab loads of them! ive wanted to try these for ages! I picked one of these up for about $3.99 on a recent trip to NYC. Stil haven't got around to using it so will make it my mission this week! 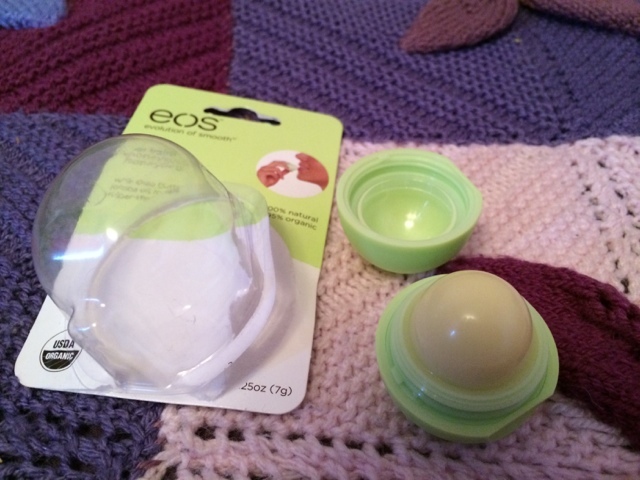 I love my EOS lip balms. They are so moisturizing and all natural ingredients which are so important when it comes to lip products. They also seem to last a long time.